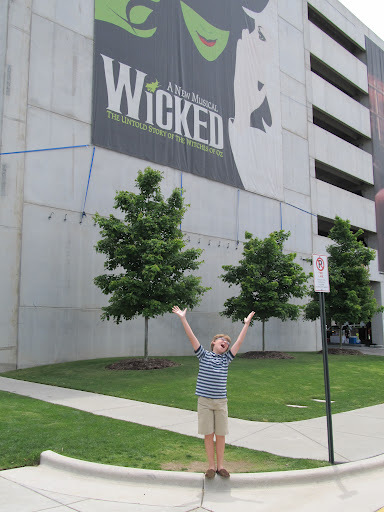 Last weekend, my son and I went to see Wicked for his birthday—and yes, I am still “defying gravity”. I was ready to stand up a sing, “It’s time to trust my instincts…..close my eyes and leap”. Henry probably would have run from the theatre horrified, but it is how I am feeling these days! So much is always going on in my head and I feel like I am always trying to sort it out, when I know that is never necessary. There is no need to ask why all of these experiences are happening or what I am supposed “to do” with them. My blog is called Coming Alive for a reason. I know my voice has been in me all along and I have known what to do with it–for some reason I have just been sleeping. Well not anymore! This week I have freshened up my blog, added a few pages, and changed my twitter and email. My design is a nifty template and still a work in progress; however I definitely know I am moving in the right direction. I am especially excited about: What I Have to Offer and Shining Moments. I would love for you to take a look and let me know what you think. As always I invite you to join me in this leap. There is so much that can be accomplished when we do it together. It is too late for us to go back to sleep. We have a World that needs some changing!! Go Rachel! It was so great meeting you in Miami, you are an inspiring person! !